Without a doubt, the most powerful tool in getting jazz promoters, journalists, booking agents & fans excited about your project is by showing them video footage. In this article, we’ll look at why they are so important and the different types of video content you can put together for your project. A video is a great way to get people to understand the project musically – in just a couple of minutes. From an industry point of view, it also shows the potential ‘buyer’ how effectively they could communicate your music with jazz fans who are buying tickets, downloading music & reading magazines. 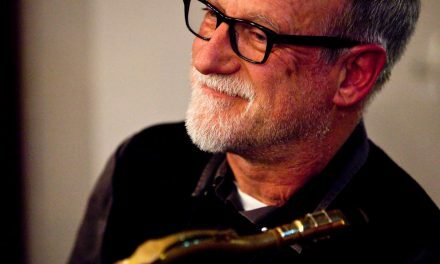 And, once you’ve got a gig/review/album, having a great jazz music video maximises your reach and gives the best chance of success which – all being well – means more gigs, more press & more album sales. So, whilst making a music video might not be free, it’s one of the most important investments in your career if the goal is to get more gigs and to develop a wider audience and an international reputation. What Are Music Videos Needed For? If “a picture is worth 1,000 words” how many is a video worth? It’s worth bearing in mind that most promoters have to balance their musical opinion of an artist with a financial one: can I sell enough tickets to this? If they can see a bunch of great promo materials – such as video – they will feel more confident that they can get their audience excited. As an agent, I’ve personally experienced promoters ignoring information about a new artist (press releases, quotes, news articles…) but then seeing a video of them and making a booking. Nowadays, I personally would think twice about representing a ‘new’ artist who didn’t have any professional-quality video content. It’s just so much harder to convince a promoter to book them for a festival if you can’t SHOW them – in 2-3 minutes – what they’d be buying. I think we are all agreed that, even if you are receiving a guaranteed fee, the goal is to sell as many tickets as possible for your gig. The more tickets, the more CDs you can sell after the show. Unless you have a big fan base, selling tickets to your gig involves grabbing the attention of jazz fans and exciting them about your project. You can do this directly through social media, the promoter can do it through marketing to his regular audience and a PR person can do this through the press. In ALL these ways, a great music video is the #1 way of communicating the message. Most magazines these days have a digital presence – both an active website and Facebook/Twitter pages. To keep people interested, they need CONTENT. Whilst they can share articles from the physical magazine, most like to pad this out with other content. If you produce a new video, you can offer them an ‘exclusive’ premiere. They get to share it online first and you get to reach a whole bunch of dedicated jazz fans, outside of your own reach. As with promoters, journalists need to be drawn into your ‘story’ and motivated to write about you. Again, like promoters, showing them a video is the quickest possible way to communicate a style and vibe with them. Instead of sending an essay trying to describe the music with flowery adjectives and loose comparisons, just ask them: click here for a 3 minute video. OK, so jazz on TV is getting depressingly rare these days, but there have been a few occasions (in mainland Europe) where a festival promoter has called me and said that they have the opportunity of some TV promo – if we can supply video footage of the artist in the right format and quality, immediately! If you’ve got the video content, you can get the (massive) free publicity of TV. If not, you don’t. 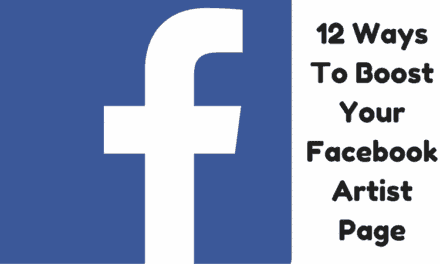 Another massive added value of having great videos is that it helps to grow your fanbase online. Video content leads to much higher engagement (likes & shares) on social media which spreads the word far more widely than you can do alone. It draws in new people who otherwise might not have discovered your music. 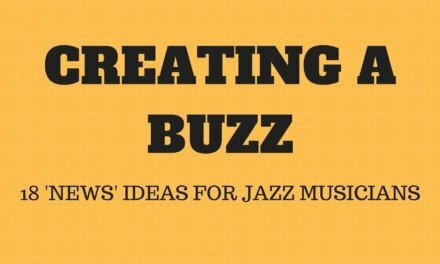 In order to really grow your fanbase online, you need people – jazz fans – to spread the word for you. Keep posting boring, text-based information and it will only (at best) reach your current followers. If you are producing content that is stylish and creative, your followers are going to be motivated to share it with their friends and things can pick up momentum from there. It is not just a one-time-through [mimed] performance of the song. a) Mainly a performance video, but shot artistically and in an interesting setting. This is probably the most affordable type of music video but still very effective. It ticks the box of showing the band ‘perform’ but creates enough interesting content for people to stick through to the end and share it. This is often the most ‘shareable’ type of music video, if the content is creative enough. This particular example (below) topped 100,000 views incredibly quickly for a relatively (at the time) unknown instrumental jazz group. Personally, I think this option works best as an all-round option; you have the non-performing (‘story’) part of the video to really grab the attention of fans and create interest, but you also have sections of the video where you see the band performing, which is very useful for promoter to get an idea of how the final gig will look to them. According to broadcaster, Balcony TV producer and Jazzfuel Q&A guest Tina Edwards, live sessions are the future! This is basically the live footage produced by an online ‘channel’ to be posted on their Youtube and/or website. They generally pick a location, set up lighting/audio/visual recording and, often, a small audience. You turn up, play a couple of songs or a whole gig and it’s put out online. The main benefit of this is that someone else is organising, paying and promoting the video! If it’s produced by an established channel like Balcony TV, you are tapping into their audience which gives potential to grow your fanbase. It’s also great at stripping away another layer of separation between you and the audience and letting them right up close to see you perform. 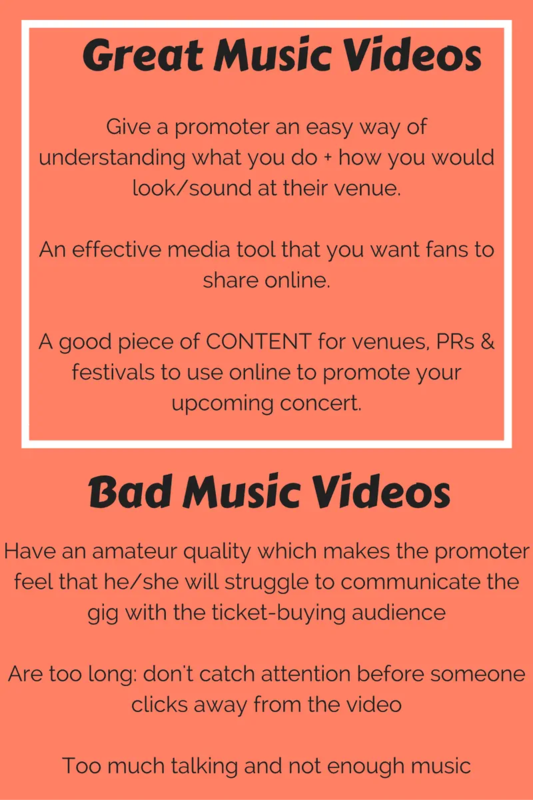 It’s probably less likely to be used by a promoter as a promo tool to plug a gig but it is an excellent way to reach more fans online and as another piece of news/media to share with possible promoters when you are pitching to them. Live footage from a real gig is GREAT at showing a promoter exactly what they are booking. The best (*free) way to get hold of this is to play at a festival where they film the shows as standard and let you use them afterwards. Some of the big examples of this include Marciac Jazz Festival in France and Burghausen Jazzwoche in Germany. If you can’t get on one of these, you can of course set something up yourself. It’s best to do it at a venue where you know the promoter well enough to be able to prepare everything properly because quality is key: in the days of high definition phone cameras and professional clip on mics, there is no excuse to put out a bad quality video and, in almost every situation, I’d say it was better to put out nothing. If you plan to use the video to send to promoters, anything less than professional will cheapen what you are offering. Ah, the electronic press kit, aka the EPK. I understand the old-fashioned physical version; you put together your bio, release info, press quotes, photos and send it to promoters and journalists along with your new album. As we moved into the digital age, the electronic press kit made sense. I use it all the time; a nice one page PDF with links to all the required information for a promoter or journalist. I’m not, however, sure that the video version of this serves the same purpose, so certainly shouldn’t be used instead of a digital press kit. A lot of bands produce an EPK video – usually with footage from the studio – to introduce their new project. It’s a good tool to have, especially if you have an existing fan base who are hungry to know the details of what you are up to. My only issue with these (speaking as a booking agent) is that often they are too long (anything more than 3-4 minutes) and contain way too much talking. Whilst your existing fans might lap this up, it is not the sort of thing that a promoter will sit through, nor the sort of thing that will win many new fans. To be completely honest, journalists and promoters who are not familiar with you yet, probably don’t care too much about the origins of the project, unless it’s a really unique and newsworthy story. If you have the budget or technical know-how, produce a short video to introduce your new project, for sure. 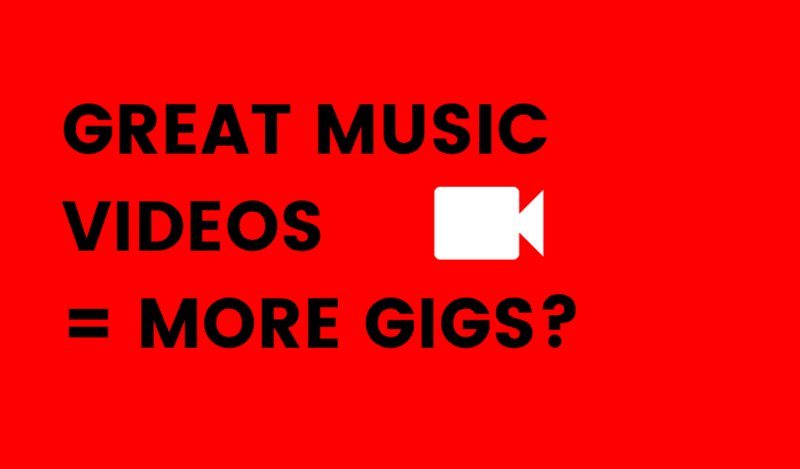 But be aware that it is probably only going to serve a portion of your audience (existing fans) and an agent or manager will probably be looking for a more traditional music video or live performance video to go with it to get you more jazz gigs. How Gig Ready Are You On Youtube? When you send a promoter a video, you can control what it is they see (assuming they are motivated to click the link in the first place!) It’s important to remember, though, that some people will actively search you in Youtube. Personally, when someone tells me about a new band, I usually check them on Spotify, Youtube and their website. Not only does it allow a quick check on the musical content, it also gives an impression of how much of the ‘other stuff’ they have together. Especially as an agent, although the music comes first, the presence (or lack) of good promo materials shows how much work it will take to actually get through to promoters. 1. Nicely request bad footage to be taken if you know (or can find) the person who posted it. How Much Should A Music Video Cost? You are a creative, which probably means you have creative friends too – ask around to get a personal recommendation. These might sound pretty blunt and uncompromising but the good news is that in this modern era, you do not need to be shelling out big money to get this together. As a musician, you are especially likely to have friends (or friends of friends) with the technical know-how and creative skills to help you out on this. And remember, if the goal is to tour internationally and make a living as a performing jazz musician, you will need to invest in a few tools to help you achieve that. Many things, like social media and performing great music, just require the investment of time. Other though – particularly videos, website, photos and PR – will require some money. It’s just like any career; it’s down to you to make things happen at the beginning and, with luck and persistence, you will reap the rewards later. Got a new video coming out? You can check out our latest featured music video premieres – plus submit your own – over on our new music video releases page. You can also find all articles related to promoting your project right here. We did not have a good video for a very long time (5 years!!!) and we also realised that this is the reason we did not get gigs. Many organisers and friends told us before: You sound great live, which we did not see on YouTube. This is a video of my trio playing an Ary Barroso’s song. I hope you enjoy!